Is Spring a busy and exciting time for everyone? I’d like to think so. Although I say the same about Summer….and the holidays. But back to Spring–the weather has been lovely, the produce equally as lovely. I’ve been inspired and working away in my kitchen and when I’m not there, you can likely find me in a tree or shrub of some kind, foraging the magical edible goodies that Spring has to offer–more on that later. 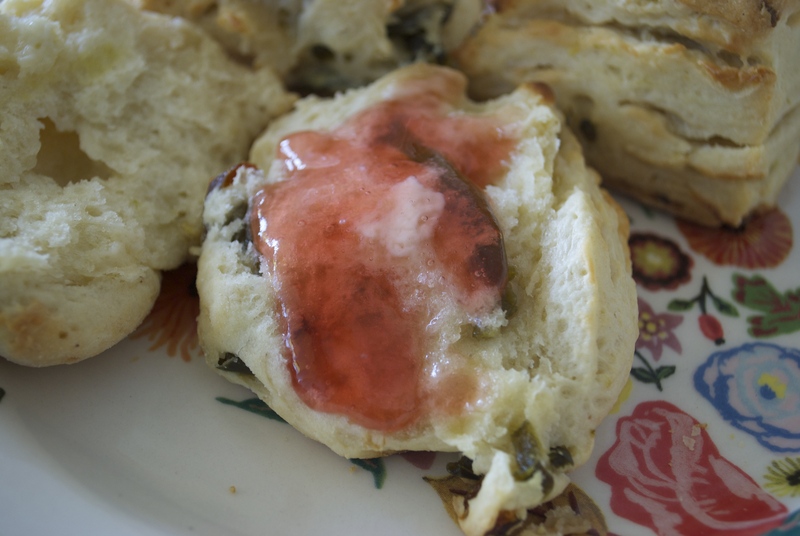 Today I wanted to bring you a recipe for this dang good biscuit. 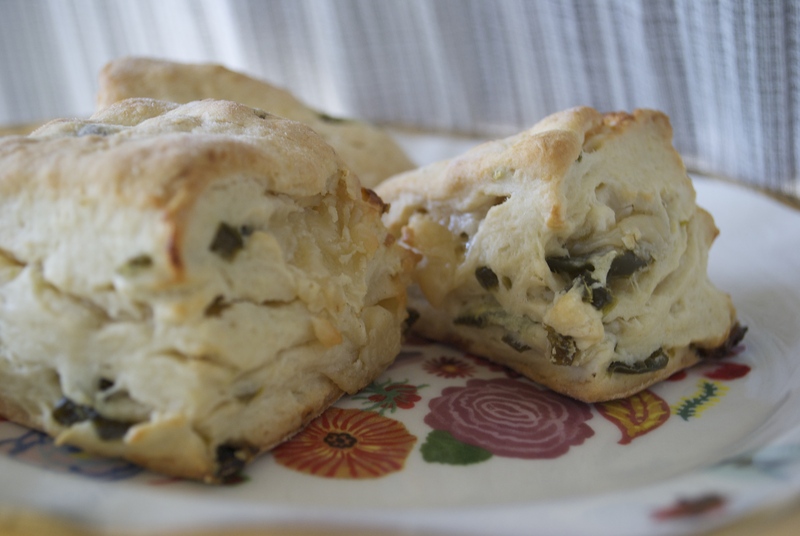 It’s a layered delight with little pockets of vegan cream cheesy goodness and spicy, sweet jalapeños mixed in. 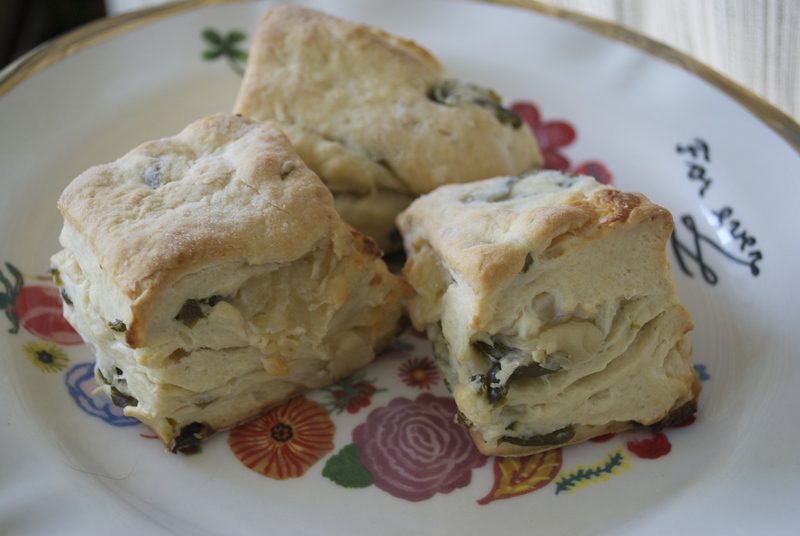 Combine flour, baking powder, salt and sugar. Whisk together. Cut in the Earth Balance with a pastry cutter/whisk until you’re Earthy B is in small pieces. Alternatively, you can do this in a food processor with your dough blade. Mix in the jalapeños. Then slowly mix in the buttermilk until a sticky dough forms. Don’t dump it in all at once–just mix it in slowly until your dough forms. You might use all of the milk, but maybe not. If you don’t have enough, add a tbsp of additional cold milk until your dough comes together. 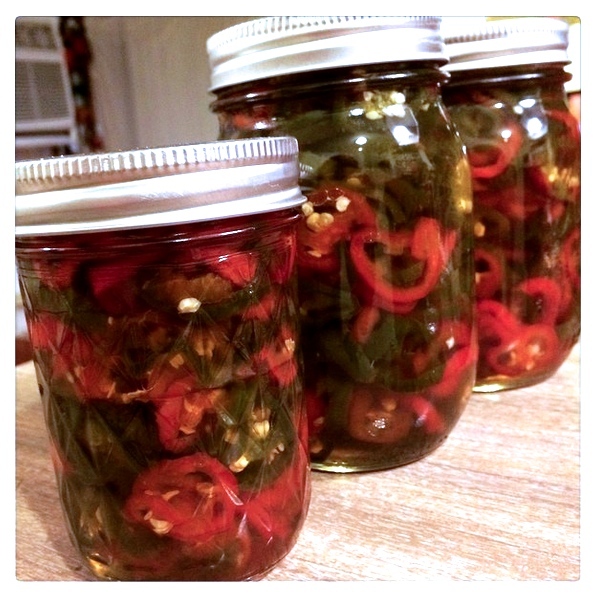 Candied Jalapeños in red and green.